This article originally appeared at Task & Purpose. 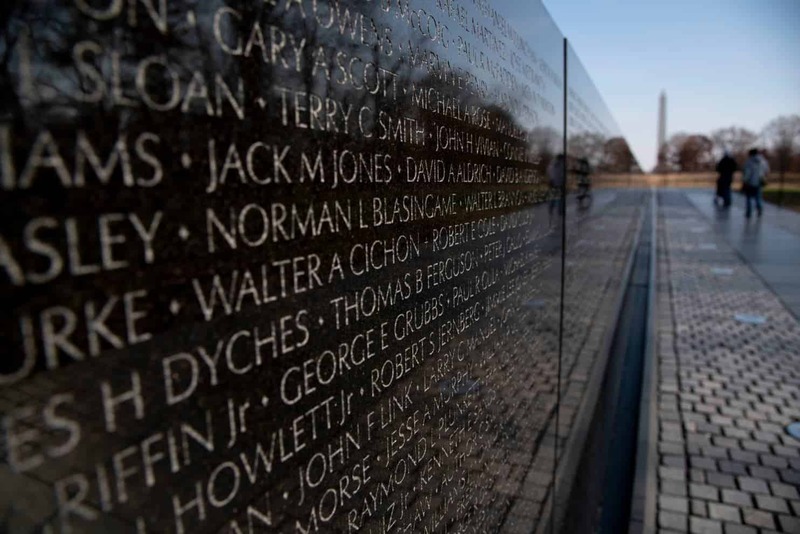 The Education Center at the Wall, set to open its doors in 2020, would be the latest historical showpiece on the National Mall, 25,000 square feet of exhibition space dedicated to the memory of the Vietnam War, clad in Italian glass and jutting steel, occupying five acres of coveted Washington real estate. Mandated by Congress to be visible only from the Vietnam Veterans Memorial — and just enough to “satisfy its purpose” without “disrupting the landscape” — the center would be accessible by a flight of stairs guiding visitors into a warren of galleries replete with an array of museum exhibits and multimedia installations examining our troubled involvement in Southeast Asia. Those exhibits would tell the story of the war as it was experienced both at home and on the battlefield, from myriad perspectives. The Vietnam Veterans Memorial itself, now considered a triumph of public art, was itself a highly fraught endeavor. 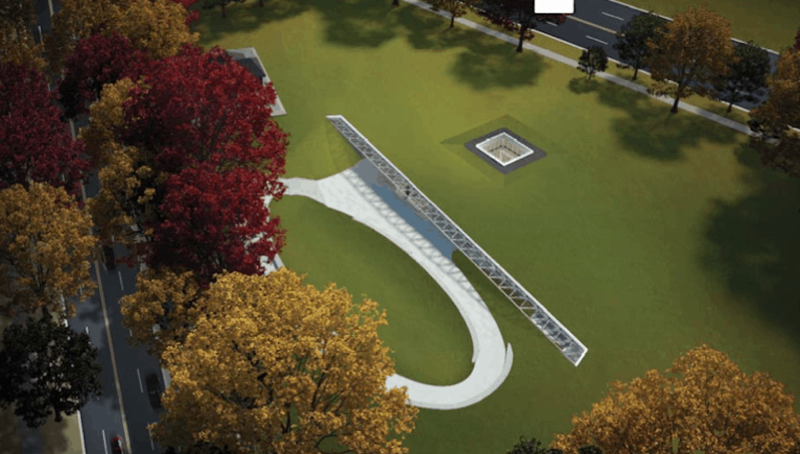 The selection of a sober, minimalist design by 21-year-old student Maya Lin sparked a bitter controversy, fueled by those who considered the V-shaped back granite memorial to be more symbolic of the antiwar movement than anything else. Over time, though, it won adherents, eventually going on to unite Americans behind the notion that troops should never be sent into battle without their country’s full support. Better known simply as “the Wall,” it was unveiled in 1982 and has since become one of Washington’s most popular tourist attractions, drawing an estimated 5.6 million visitors each year. 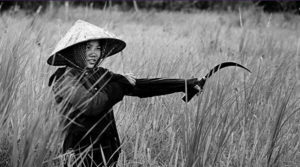 The success of the Wall only further convinced Scruggs that the hard-learned lessons of Vietnam were too important to forget. He began lobbying for the Education Center in 2000 and spent the next three years waging an uphill battle to convince lawmakers that it would serve rather than undermine VVMF’s foundational mission — “to honor and recognize the service of American veterans of the Vietnam War, particularly those who were lost.” The vision eventually drew the support of Congress, which in 2003 passed a law earmarking a parcel of Federal land for the project. Longtime VVMF allies, including John Kerry, John McCain, John Warner, Gen. Colin Powell, and Chuck Hagel, rallied behind the effort as well. Artist rendering of Education Center at the Wall. Image via National Capital Planning Commission website. Fundraising and planning progressed steadily behind the scenes until November 2012, when the project had a public coming-out of sorts, a media-heavy ceremonial groundbreaking on the National Mall attended by a notable cadre of politicians, Pentagon officials, and celebrities, including Vice President Joe Biden, Secretary of Defense Leon Panetta, Adm. Mike Mullen, and musician Jimmy Buffett. 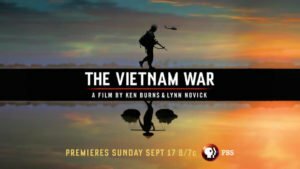 The occasion doubled as an opportunity for VVMF to announce an expansion of the Education Center’s scope: In addition to telling the story of Vietnam, it would also cover the wars in Iraq and Afghanistan. Among the attendees were about a hundred parents of troops lost in those conflicts. Each came bearing photographs of their child, which were gifted to VVMF at the end of the ceremony — after Buffett played an acoustic rendition of Irving Berlin’s “God Bless America.” The images would be included in the center’s crowning exhibit: a giant digital wall that would display images of every American service member who died or went missing in both the Vietnam War and the War on Terror. An education center that grappled honestly with the immense policy failures that drew America into an unwinnable war in the first place was a good idea. On that, at least, everyone agrees. There was only one precedent: the Vietnam War Era Museum and Education Center in Holmdel, New Jersey, which opened in 1998 and was also designed by Ralph Appelbaum Associates. Similar to what Scruggs had in mind, the original goal of the museum was to offer visitors an unbiased, clear-eyed, and comprehensive narrative of the conflict and its manifestations back home. 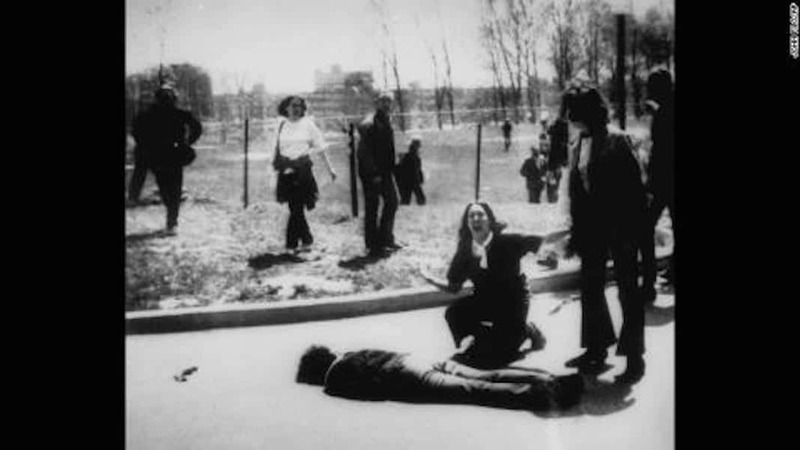 But a bitter public dispute over the exhibit script resulted in a series of small but surgical revisions of certain features perceived as “anti-veteran,” including panels related to the Mai Lai massacre and the antiwar movement, according to Meredith H. Lair, a historian of the Vietnam War at George Mason University, who authored the text. Lair also wrote a critical analysis of the Education Center published in 2012 and attended several VVMF advisory board meetings for her research. In an interview, she said the New Jersey museum served as “a model but also a cautionary tale for the Education Center,” and pointed to another controversy that “had a very chilling effect on people who work on national museums about wars.” In 1994, veterans groups and lawmakers prevailed in a vigorous campaign to pressure the Smithsonian Institution into dramatically altering an Enola Gay exhibit. As a result, the New York Times reported, the Smithsonian removed “items that the critics said dwelt to excess on the horrible effects of the atomic bombs that were dropped on Hiroshima and Nagasaki” and also “vastly revise the estimate of how many casualties might have resulted” if the U.S. had invaded Japan, among other things. 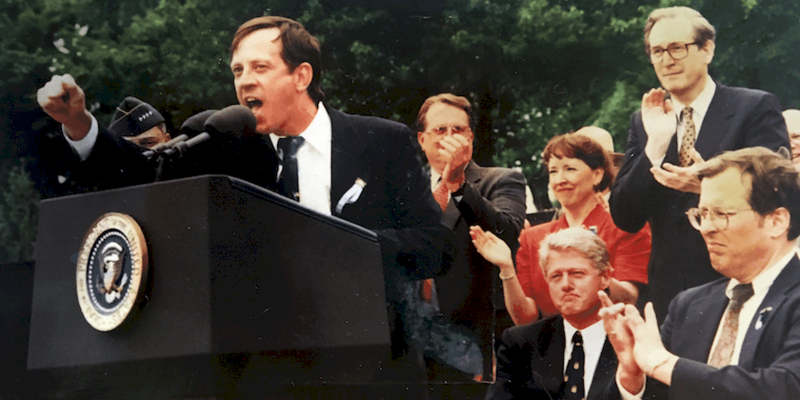 Scruggs speaking at the site of the Vietnam Veterans Memorial on Memorial Day 1993. Photo courtesy of Jan Scruggs. The surge of patriotism after the September 11 terror attacks helped carry the Vietnam Veterans Education Center Act through Congress. But efforts stalled soon after, for a variety of reasons. Some say, in retrospect, that the campaign was doomed from the start, that it was foolhardy to think that the unanimous love and support for the Wall would carry over to a project that threatened to disrupt its sacred neutrality. Others blame the 2003 invasion of Iraq. As the war heated up, many potential donors shifted their attention to helping the droves of troops returning home wounded and traumatized. 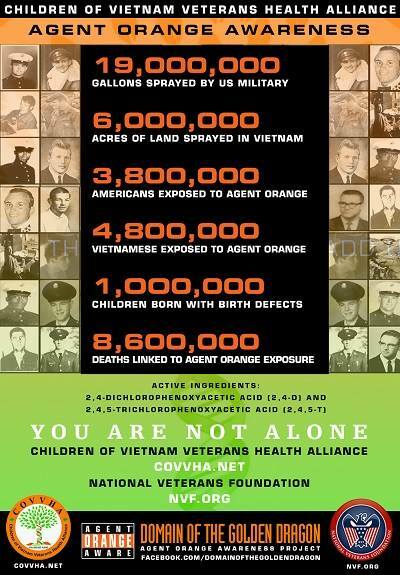 In that way, at least, the War on Terror would not be like Vietnam. Scruggs still had enough clout with veterans of his generation to land a series of major donations, but rising costs vastly outpaced the inflow of funds. And the decision to fold the War on Terror into the project seems to have backfired. “Congress loved the plan, but otherwise the support was wafer thin,” Scruggs recalled. Other prominent supporters also appear to have lost faith in the project, including Hagel, who authored the legislation for the Education Center. 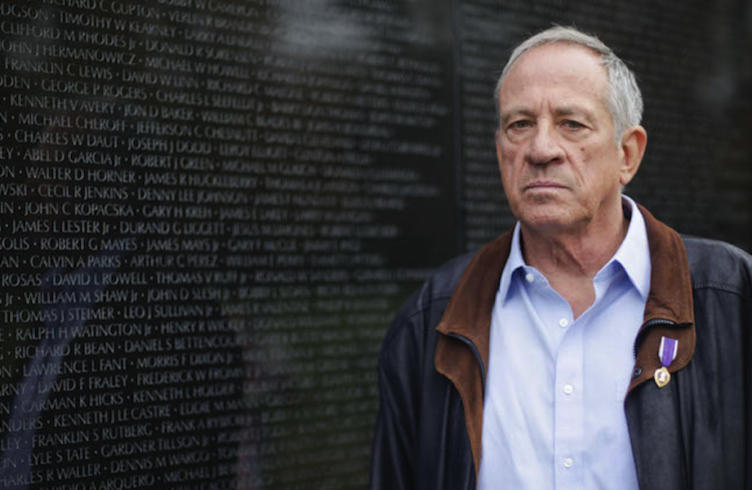 The former secretary of defense did not return a request for comment sent to his private email, but sources familiar with his thinking say he expects VVMF to abandon the project when its board votes on the matter later this month. Meanwhile, a spokeswoman for Powell explained that he “is not actively engaged with VVMF,” although for many years he was instrumental in the fundraising effort and donated money himself. Artist rendering of the Education Center at the Wall from above. Image via the National Capital Planning Commission website. Scruggs retired as president of VVMF in the fall of 2014, severing all ties with the organization shortly thereafter. And though he’s reticent to discuss his personal feelings about the project, people close to him say he is haunted by the notion that the Education Center’s “inevitable demise” will undo a lifetime of work advocating for Vietnam veterans. “I told him that he just needs to be retired,” a longtime friend and associate recalled. “He has a great life, and he will have a great legacy no matter what happens with the center.” Another person who maintains regular contact with Scruggs described him as being deeply “concerned with the integrity” of the memorial. “He has a tremendous heart and he did something that was truly remarkable for us, that wall he created,” they said. Of course, more than reputations are at stake. The Education Center is very real to a lot of people. “It’s sad for the veterans and the families who have invested so much energy and time into this effort,” said a former VVMF employee. “We’d get phone calls all the time asking about progress.” In addition to the tens of thousands of photographs the organization has collected for the Wall of Faces exhibit, it has amassed a vast archive of keepsakes left at the memorial that it planned to feature in an adjacent installation. It also continues to solicit donations on its website — “Gifts large and small are needed to help build the Center” — and sources say that most of VVMF’s handsomely-compensated staff, which consists of 14 full-time and two part-time employees, is primarily focused on “development,” or fundraising. 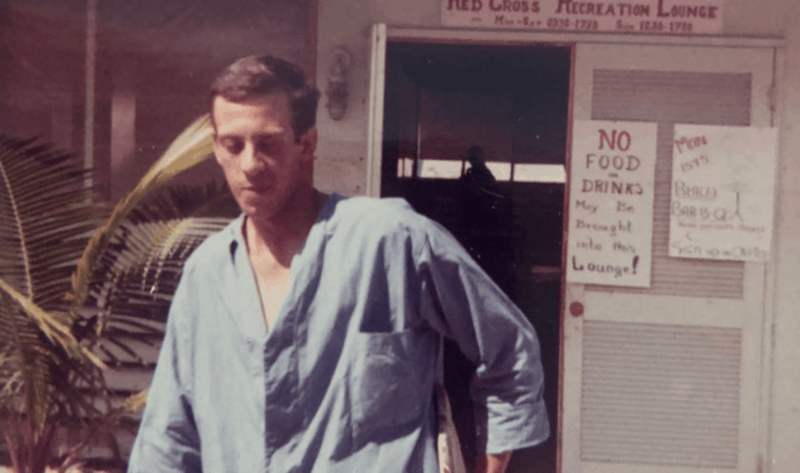 After enlisting in the Army straight out of high school, Scruggs served a 12-month tour with the infantry in Quang Tin province and was wounded in action. He returned home in 1970 “disillusioned and disenchanted,” and drifted through his early 20s, working odd jobs and roving the country on a motorcycle before eventually enrolling at American University in Washington D.C. to study psychology. He says he came up with the idea for the Vietnam Veterans memorial after watching The Deer Hunter, Michael Cimino’s Oscar-winning 1978 epic war drama about three small-town friends who volunteer to fight in Vietnam and are each left profoundly traumatized by the experience. 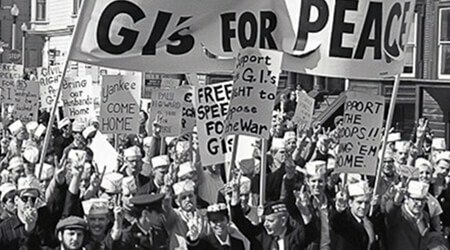 The film was one of the first to examine the war’s corrosive effect on veterans, their families, and the working-class communities that sacrificed disproportionately. Scruggs recovering at a medical facility in South Vietnam after being wounded by an enemy rocket-propelled grenade, 1969. Photo courtesy Jan Scruggs. On Nov. 13, tens of thousands of veterans from across the country converged in Washington for the dedication of the Wall. They came in old jungle fatigues and jump boots and boonie hats slung low over bearded faces, like soldiers back from a long and forlorn patrol. The day began with a “Welcome Home” parade down Constitution Avenue attended by a thin but zealous crowd of flag-waving supporters and culminated with a dedication ceremony on the National Mall. Marching at the helm of the procession was Gen. William C. Westmoreland, whose infamous “war of attrition” strategy is still widely blamed for the staggering body count represented in the memorial. In fact, the general, a decade retired at that point, had personally requested to grand marshal the parade, and Scruggs, who had left the Army as a 20-year-old corporal, had dutifully agreed. “I couldn’t say no to an icon,” he told Task & Purpose. The hands belong to Cappie Fallon and her sister Joan of Atlanta, Ga. 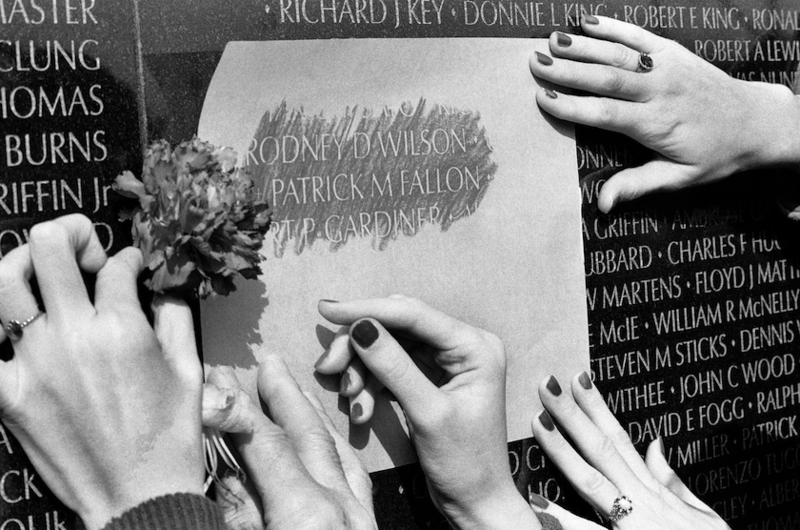 The name they are tracing on the paper is that of their father, Air Force Col. Patrick Fallon who was shot down over Vietnam and pronounced dead. AP Photo / Charles Tasnadi. Also impossible is raising the necessary funds incrementally, as in, “a million here, a million there,” the source added. “Everybody knows that.” The only way the center gets built is if someone picks up the rest of the tab “because they want to put their name on it.” But that isn’t an option now and may never be. On June 11, VVMF submitted a “Donor Recognition Plan” to the National Park Service for review and approval. 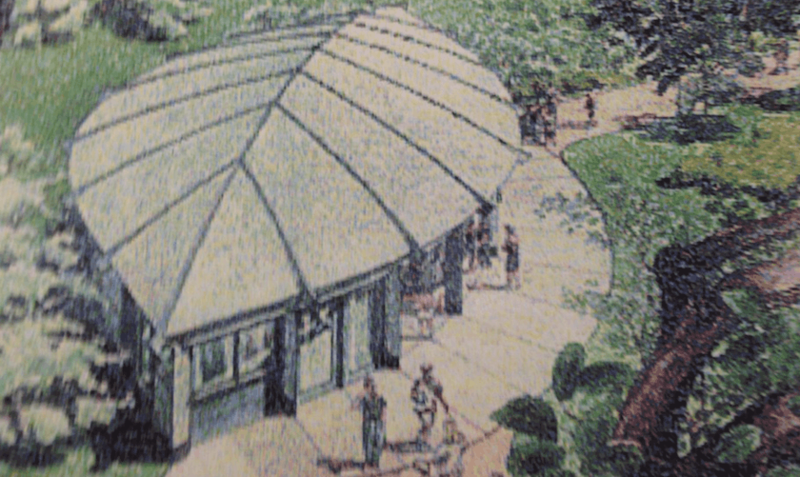 The plan, which was rejected entirely, included “allowing the Education Center and ‘associated Plaza’ to be named after a donor.” Unfortunately, as the NPS explained, such arrangements are prohibited by federal regulations. VVMF also asked for “donor recognition at donation levels as low as $15,000.” That isn’t permitted, either. Nevertheless, the VVMF website continues to promise “special recognition opportunities” for gifts starting at $100,000. VVMF did not reply to an email asking whether those opportunities are contingent on a policy change, or if it plans to submit a revised recognition plan as NPS urged it to. Last spring, VVMF received a major windfall in the form of a $10 million grant from the Lilly Endowment. The organization said at the time that the donation brought the total raised for the Education Center to $42.5 million, and expressed hope that more money would follow. VVMF seems to rely on several different metrics for measuring progress — photographs collected, mementos accrued, design plans finessed and approved. Speaking strictly in terms of donation dollars, however, progress screeched to a halt last year. VVMF director of communications Heidi Zimmerman told Task & Purpose in July that VVMF had raised a total of $42.5 million — which, she admitted, is the same amount the organization reported a year before. She was quick to point out that VVMF has raised $14 million for the Education Center since she joined the organization in 2014. However, the estimated cost also grew during that time, by $15 million, leaving VVMF further from its fundraising goal than ever. Last month, Sen. Steve Daines, Republican of Montana, introduced a bipartisan bill with Sen. Tammy Duckworth of Illinois that would grant VVMF a four-year extension to continue raising donations for the center beyond October of this year, which is when its previous extension expires. Artist rendering of Scruggs’ initial vision for the Education Center. Image via Jan Scruggs. Neither, sources say, are some members of the board, who are concerned that the organization is drifting perilously off course and believe a return to a more grassroots model is the only way to preserve its legacy. Such a shift would likely entail big staff cuts. Although I like the idea of historical discussions on the west end of the National Mall, maybe less is more. In an email shared with Task & Purpose a key supporter opined that the decision to shutter the Education Center has already been made and that VVMF has been biding its time as it figures out how best to break the news. “Wise to take the approach they’re taking because they know there are many pieces to this monster,” they wrote. One inside source put the odds of the board voting to continue the project at “60/40 against.” Another said, “they are going to have to stop this charade and give some money back and get rid of some employees.” Only a few major donors stipulated in contracts that VVMF would have to return their money if it failed to complete the project, however. The rest is for keeps. 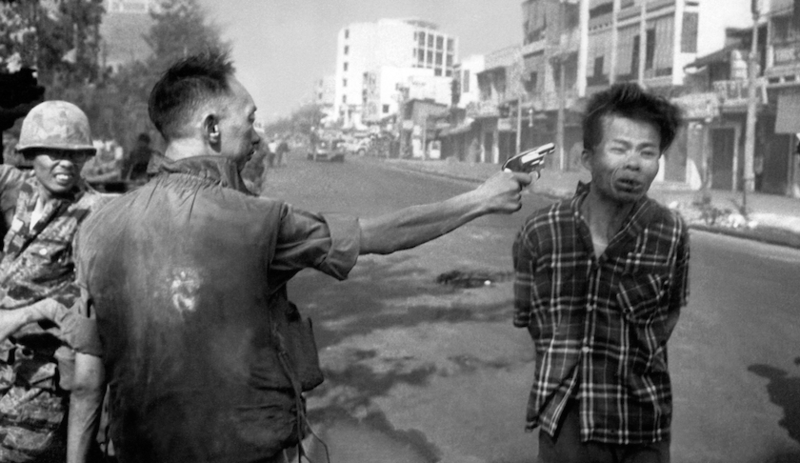 South Vietnamese Gen. Nguyen Ngoc Loan, chief of the national police, fires his pistol, shoots, executes into the head of suspected Viet Cong officer Nguyen Van Lem (also known as Bay Lop) on a Saigon street Feb. 1, 1968, early in the Tet Offensive. AP Photo/Eddie Adams. Adam Linehan is a senior staff writer for Task & Purpose. Between 2006-2012, he served as a combat medic in the U.S. Army, and is a veteran of Iraq and Afghanistan. Follow Adam Linehan on Twitter @adam_linehan. E-mail adam@taskandpurpose.com. Pentagon correspondent Jeff Schogol contributed reporting.